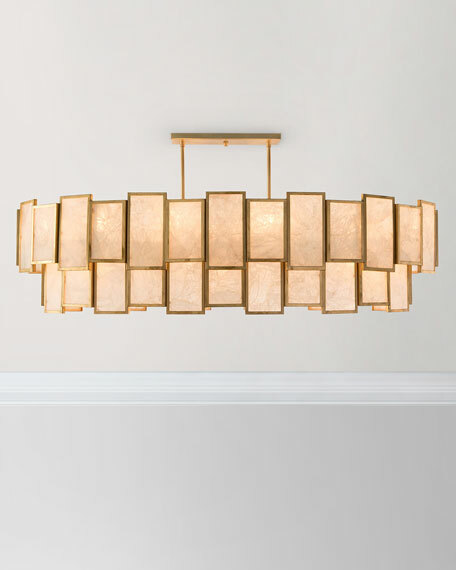 A 21-light Art Deco-inspired pendant with calcite panel framed in gold leaf. 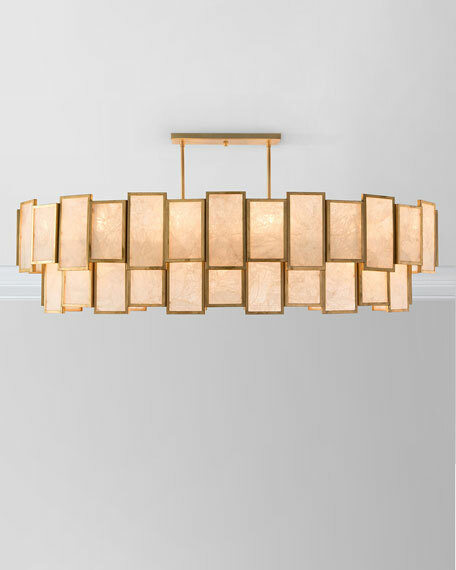 Handcrafted panel pendant in brass and calcite. 60"W x 30.5"D x 26"T.
Includes two 6" rods and six 12" rods. 16"W x 5"D x 1"T canopy included. Weight, 80 lbs. Boxed weight, approximately 98.5 lbs.